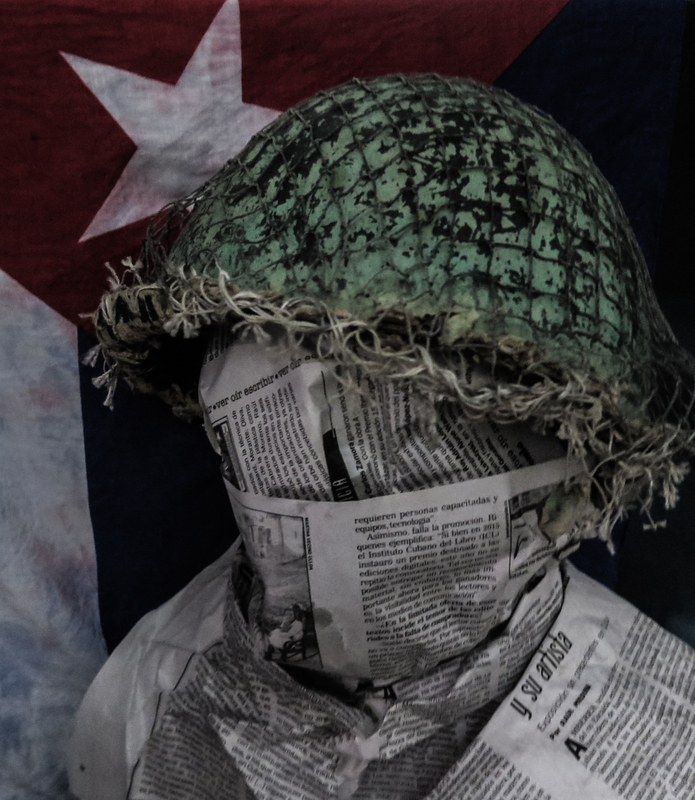 Today one of the most interesting phenomena in Cuban society is the proliferation of alternative, independent media, including those that neither take orders from the government nor from the opposition. This wealth of articulated voices, which can be seen, rather than heard, especially in electronic formats, is a significant improvement of the efforts and experiments being developed in recent years, such as the use of emails to “publish” news and opinions from you to you, personal blogs, sending of PDF files, or the printing of bulletins and loose-leaf manuscripts. These new and more organized media outlets, such as 14ymedio, OnCuba, El Toque (The Poke), Journalism from the Barrio, El Estornudo (The Sneeze), among others – can exist only thanks to computer servers, sponsors or at least volunteers from abroad, since they do not have support from the government, which has continued to monopolize all such types of infrastructure. They also depend on the open cracks that signify access to the Internet. For an article published on these sites, the author can earn as much or more than someone hired at an official newspaper for several months. These new material conditions, in addition to their own freedoms, make it possible for them to develop a new type of investigative journalism that gets into taboo and problematic areas that would otherwise be hidden. Unfortunately, the majority of its readers continue to be those people that reside or travel abroad. The cost of the internet service in the country means that hours spent looking online are reserved primarily for communication between family and friends, that is using networks such as Facebook and IMO for video calls. Although the new media also reach people on the island, and impact an audience that is badly treated by the language of propaganda and in need of discovering and reading about their daily reality without the oversimplified black and white superficiality of politicized discourses. The weekly package is an option that many of them take advantage of to make themselves known with an attractive visual, and a language that hooks you through its casual character. To me, as someone who has tried for many years to put together a project of an independent cultural magazine (Inverted Tree), I have left the life so that I could dedicate myself to writing and trying to give shape to a space where one could connect socially, to publish and to read, like a symbolic habitat of freedom, it is no less true that as a result I am sometimes enigmatic with a scaffolding with which the determined media can arrive and impose themselves on a marginal or almost illegal margin. However, it would be a waste to devote energies to any such intrigue. Even the fact that one can exist, that they let you, can cause a bout of paranoia in front of the mirror. I do not care where they come from or what materials they are covering so long as these media outlets expand, diversify and complexify the discursive language in Cuba, everything for good. Nor do I care about the structural and deep identity of the people with whom I converse every morning at the door of my house. It is more important to me what they reflect. They reflect the reality that has never appeared and cannot appear in those partisan rags that, based on their nature, do propaganda work. It is attractive, it is affordable, but at the same time complicated for the thought police. The neutral zone in which some of these new media have positioned themselves, means that they can avoid defining themselves in definitive political terms. They are neither for nor against, but defend their autonomy based on their professional relevance and the social function of journalism, values that had almost been eradicated in the Cuban context. This includes many journalists that are literally professionals in this sector, they are university graduates with the best tools of the trade. Instead of doing trench journalism or launching denunciations, they narrate life and try to expose truths on their own terms. They have credibility because they are neither a judge nor a jury member, which increases their range. It may be noted, however, that sometimes they also protect themselves by rejecting potential news stories about events associated with the opposition and avoiding issues that might compromise the feeling of the top leaders. Already on the street, with the diploma hanging at home, they may be pursued by other ghosts, other pressures not unlike the ideological monitoring with which they formed in the state universities under the motto of “university is for revolutionaries.” They must play a lot with the chain and as little as possible with the monkey. They are human. They strive to relativize and question imposed dogmas, sometimes reverting to the official views from the same premises from which power is entrenched, even if they have to go through a myriad of almost puerile analyzes to arrive at the obvious, like when one is trying to convince a spoiled child. They take risks. They deeply feel that the “other” could be any of us. They have been forced to choose between working in the state media or collaborating with the alternative. But any attack, from any side, increases their credibility and contributes to better delineate their characteristics. After the Journalism from the Barrio team visited the areas affected by a cyclone and were asked to leave that part of the country – other independent reporters, for taking the same step, had suffered days of jail – and when they published their stories and editorials with regard to that, worthy of commendation, for that reason, I did not hesitate to make a minimum act of solidarity, though totally sincere; I entered onto their webpage and put my name and address with this comment: “My regards, and my support”.